Winter has been hitting parts of the country hard, so it’s easy to imagine that we’re due a few more cold snaps before we can switch off the heat for good. This means it’s a good idea to check in on your HVAC system to make sure that it keeps your family nice and warm until spring arrives. So what should you do to help improve your system’s efficiency and lifespan? Here are a few easy tips to get you started on staying warm the rest of winter. Outdoor units are often exposed to brutal conditions throughout the winter, including snow, ice, and yard debris build-up. 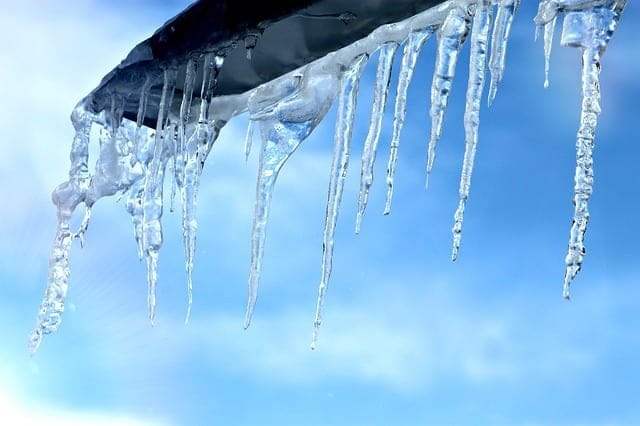 These challenges can be especially tough on systems if you live in an area with much winter precipitation and long stretches of freezing conditions. Ideally, you winterized your unit before the bad weather hit, but it’s still a good idea to check on it and make sure it is free of ice, snow and yard debris build up that can restrict airflow. Filters aren’t just a summer thing, even though many people forget about them during the winter. The truth is that filters need to be changed regularly throughout the year, regardless of the temperature outside. Not only will this keep your indoor air cleaner, it will ensure that your system has the airflow it needs to work properly. Most people tend to tune out the sounds around their home, from the clattering of the ice machine to the dishwasher. It’s important, however, to listen to your HVAC system because a change in how your system operates might show up as a new sound. This can let you catch problems early on before they turn into larger, expensive repairs. Our HVAC systems keep our families comfortable and warm all year long, so it’s only fair that we give them the attention they need to work their best. However, if you do find yourself in the cold, feel free to give us a call and we’ll help you get back up and running.